Windows 8/8.1 which is the latest version of windows is coming with lots of features but we know more number of features always going to confuse the users…. 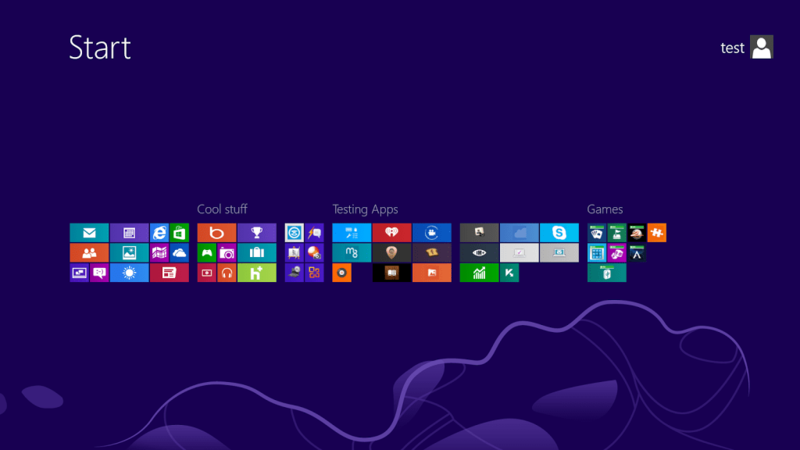 but don’t worry I have compiled a good list of top 20 features which will increase your interest in Windows 8/8.1. For using these key combinations, hold down the Windows key (normally located between Alt and Ctrl) and another key, as described on this list. The Windows key + M minimizes everything that’s showing on the desktop. The Windows key + Q opens a global search menu. Type what you’re looking for and where you would like to look. The Windows key + “,” (that’s the comma sign!) makes all current windows transparent, giving you a peek at the desktop as long as you hold down the Windows key. The Windows key + “.” (the period) snaps a window to the right or left side (toggling each time you press “.”). Now days are gone when you are putting stress on your brain to select the password which your parents or your friends can easily guess.Now with windows 8 you can create a picture password and you don’t need to remember text password. Go to “Settings“(press windows+I)–> click “Change PC Settings“–> and go to “Users” tab. Under “sign in ” option you will find “create picture password” just click on it. Now you will have the option to select any picture and you can define three gestures which need to be remembered by you. The direction of each gesture is important and after confirmation your picture password will be set. Now you are thinking how to find search option but don’t worry just start typing the words and you are taken to the search box… just try it…. it works!!! 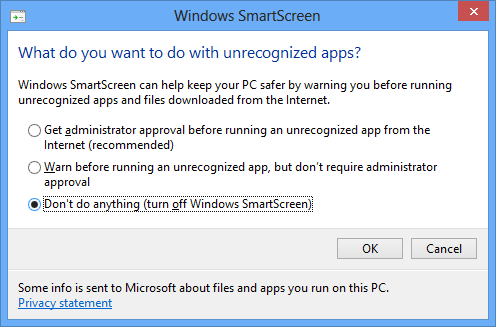 Smart setting gives warning to the user before he is installing some new unrecognized software or running some program directly from internet. But this feature becomes helpful for some users and some get annoyed . But you can control it and set it to low if you don’t want warning before installing new app on your PC. We know our PC is full of our personal data and we don’t ever wish that some one will ever see our personal data . 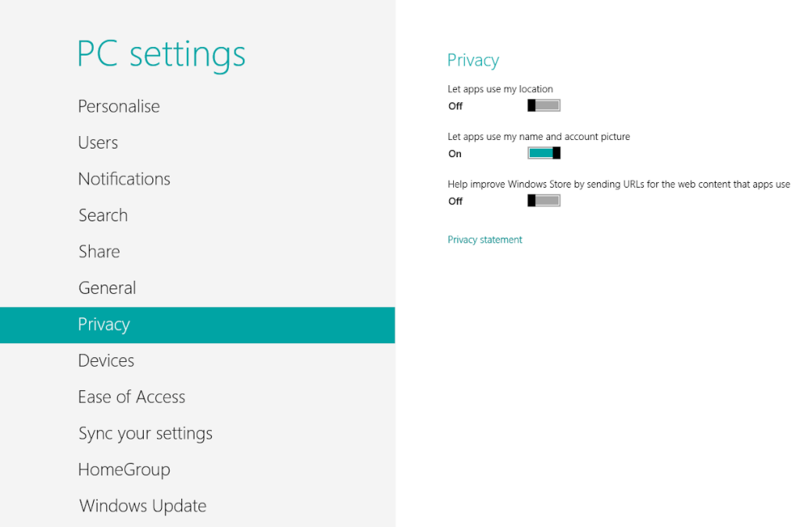 So in windows 8 we can adjust our privacy settings. Step: Press windows key+I and click on “Change PC Settings”. Select the privacy option and change the settings according to your choice. With such a huge amount of applications available now a days now you can create a category of your favorite apps and give them one name. Like you can create games category and in that you can store the games available in your windows. This is a great feature in windows OS because those people who are very much active on social sites …. this feature is a boon for them. 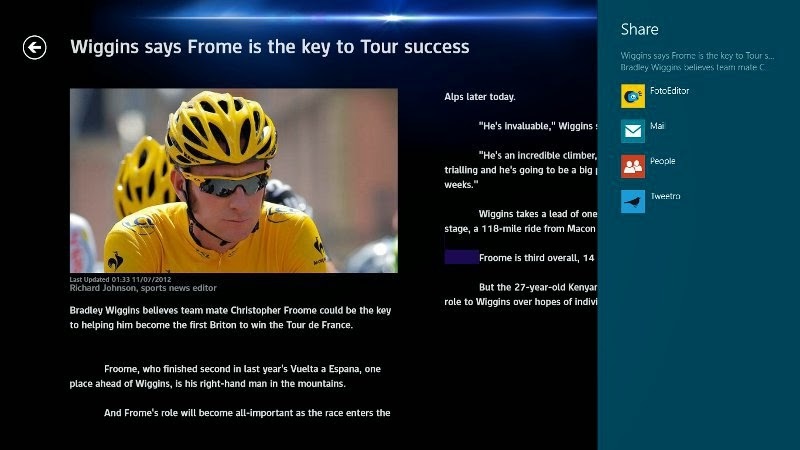 Using the share button you can share anything from your windows 8 apps like … whether sharing your map,sharing your favorite news or sharing your important contacts just a click away. One feature that annoys me when windows start is …. it shows the boring start up screen .. but don’t worry …you can directly switch to your desktop just like previous windows 7. Go to start screen and type ” schedule” to search for schedule settings. Click on “Task scheduler library ” on left side and select “Create Task”. Give name to your task e.g “At Log On”. 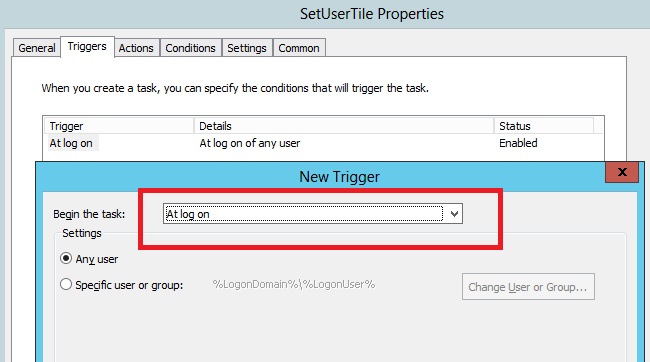 Now go to “triggers” tab ,select New and use the drop down box to select starting the task (name of your task i.e “At Log On”). Click OK and go to Actions tab,choose New and enter “explorer” for the Program/Script value. Press OK,save the created task and restart the computer to see the effect. You will say …. this is the very simple and why I included this …. because when I installed windows 8 I was confused from where I need to close the application. Because we know any operating system encourages to run the process in background but yet they can be easily accessible. You can still close the application by pressing Alt+F4 or just dragging the application to the bottom. It happens many time to me and my friends that we feel our system become very slow and friend ask me for a windows bootable cd and they make a fresh install ,but until Windows 7 only. Don’t worry Windows 8/8.1 allows you to install fresh copy from within windows without losing any data also. Go to Settings–> click Change PC Settings. Select General tab and find “Refresh your PC without affecting your files“. 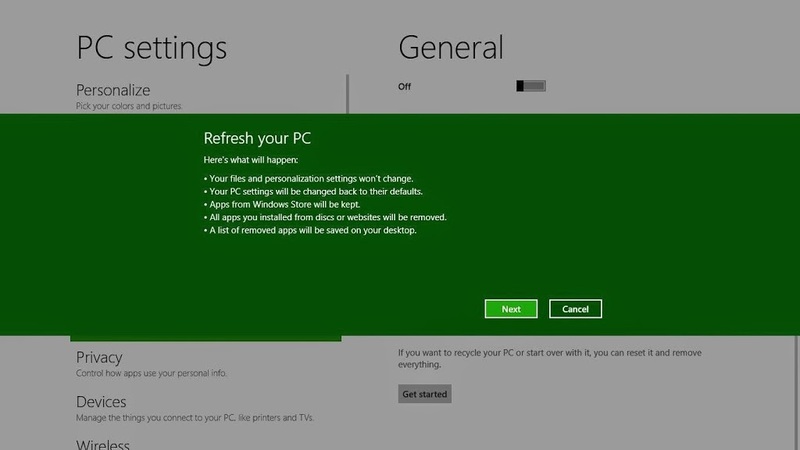 Select Get Started and press refresh and after that your PC will restart. Safe mode is the best way to enter the system when there are some files,drivers are missing or corrupted . It’s called safe mode because you can enter the operating system but with some restrictions. Hold down Shift key and press F8 while system is booting up. This will take you to “Recovery Mode“.Select “advanced” option then “troubleshoot” and again “advanced option“. 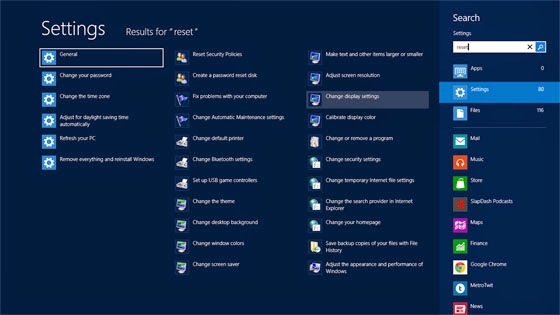 Select “Windows Start up Setting” and finally the “Restart” button. This will reboot the system and give you the option to boot into SAFE mode. If you want to get into SAFE mode from inside windows,open the run dialog box(press Windows +R) and type msconfig . Select the Boot tab and check the Safe boot box. The system will continue boot into safe mode until you uncheck this box. 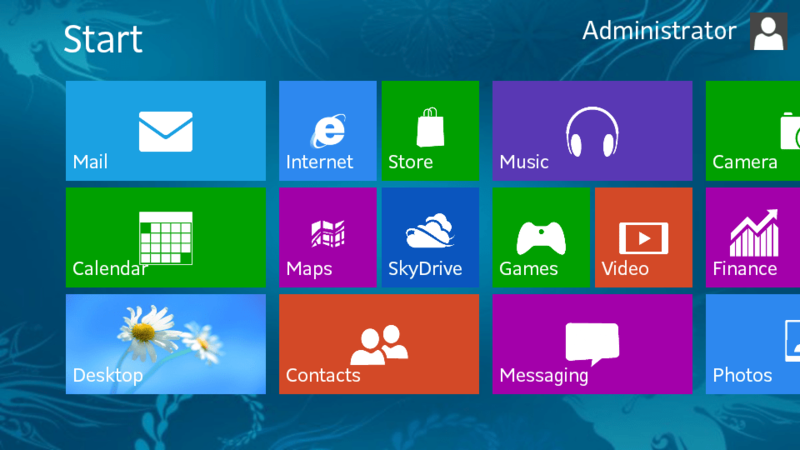 I hope friends this simple tips will make you fall in love with the windows 8/8.1. Please comment and give your suggestions…!!! « How to start blog or important blogging tips for beginners….